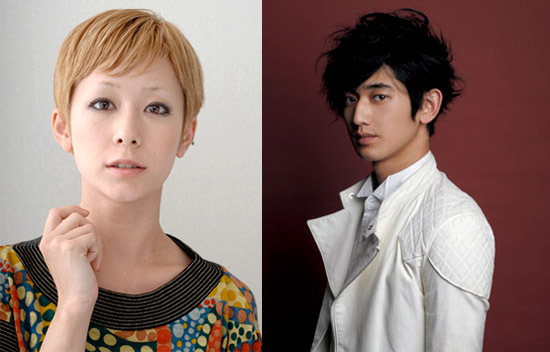 Newlyweds Kimura Kaela and Eita have announced the birth of their first child, a healthy baby boy. Today on October 28th the two put up an announcement on each of their official sites.� Although they said the baby had been born, they did not divulge what day Kimura Kaela had given birth. Kimura Kaela mentioned, "the child is so very small, but has a very strong presence.� The two of us have received so much," and "adorable, adorable, adorable. "� New father Eita commented on his site, "he takes after Kaela and myself," and "when I look at him I swell with all these thoughts and I feel his huge presence." Kimura Kaela and Eita announced they were going to get married back on June 1st and added that Kimura Kaela was five months pregnant at the same time.� On September 1st they revealed that they had officially been married on a beautiful summer day. I recently gave birth to a healthy baby boy. The child is so very small, but has a very strong presence.� The two of us have received so much.� Adorable, adorable, adorable.� From now on, the future has become so much more fun. I'm looking forward to the day when I can see everyone at a LIVE event again. Take care until that day. I have information for everyone. Our healthy baby boy was born. He takes after Kaela and myself.� When I look at him I swell with all these thoughts and I feel his huge presence. Everyone should find something they enjoy, until that day I want to do as much as I can and everyday just keep moving forward.